Evolution Science Clarity: Study Shows TRUTH on "Global warming fraud". Study Shows TRUTH on "Global warming fraud". In the 1970's we had the "Ice Age Is Coming" from these same stupid academics children. These are children who are telling us grown up and seasoned scientists this silliness. 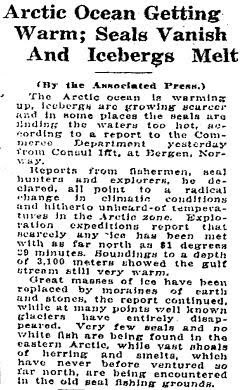 In 1922 this same global warming scare was popular as well. The Antarctic Peninsula (AP) is often described as a region with one of the largest warming trends on Earth since the 1950s, based on the temperature trend of 0.54 °C/decade during 1951–2011 recorded at Faraday/Vernadsky station. Accordingly, most works describing the evolution of the natural systems in the AP region cite this extreme trend as the underlying cause of their observed changes. However, a recent analysis (Turner et al., 2016) has shown that the regionally stacked temperature record for the last three decades has shifted from a warming trend of 0.32 °C/decade during 1979–1997 to a cooling trend of − 0.47 °C/decade during 1999–2014. " 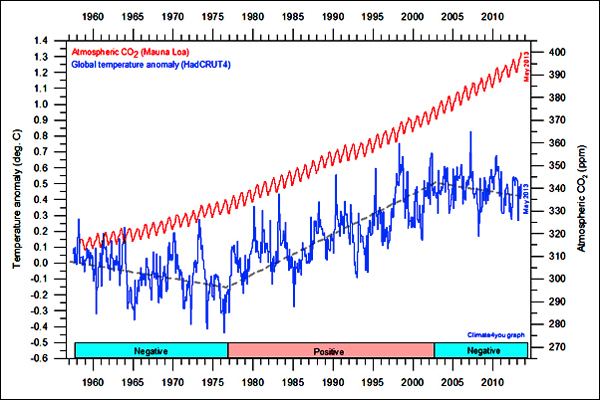 Recent RISE in CO2 and LOWER TEMPERATURE as expected. More CO2, lowers temperatures. It is the FACT that CFC's were the cause of "Global warming" NOT CO2. CO2 actually lowers temperatures. It was not until the late 1970's that CFC's started to be removed from use. While that study focuses on the period 1979–2014, averaging the data over the entire AP region, we here update and re-assess the spatially-distributed temperature trends and inter-decadal variability from 1950 to 2015, using data from ten stations distributed across the AP region. We show that Faraday/Vernadsky warming trend is an extreme case, circa twice those of the long-term records from other parts of the northern AP. Our results also indicate that the cooling initiated in 1998/1999 has been most significant in the N and NE of the AP and the South Shetland Islands (> 0.5 °C between the two last decades), modest in the Orkney Islands, and absent in the SW of the AP. This recent cooling has already impacted the cryosphere in the northern AP, including slow-down of glacier recession, a shift to surface mass gains of the peripheral glacier and a thinning of the active layer of permafrost in northern AP islands. 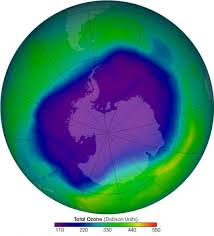 Notice how the PEAK levels destroyed the ozone layer and now the ozone layer is slowly healing and CO2 helps this. More CO2 is needed to support life on earth and to give more oxygen to make the ozone layer into a better filter against harmful radiation.